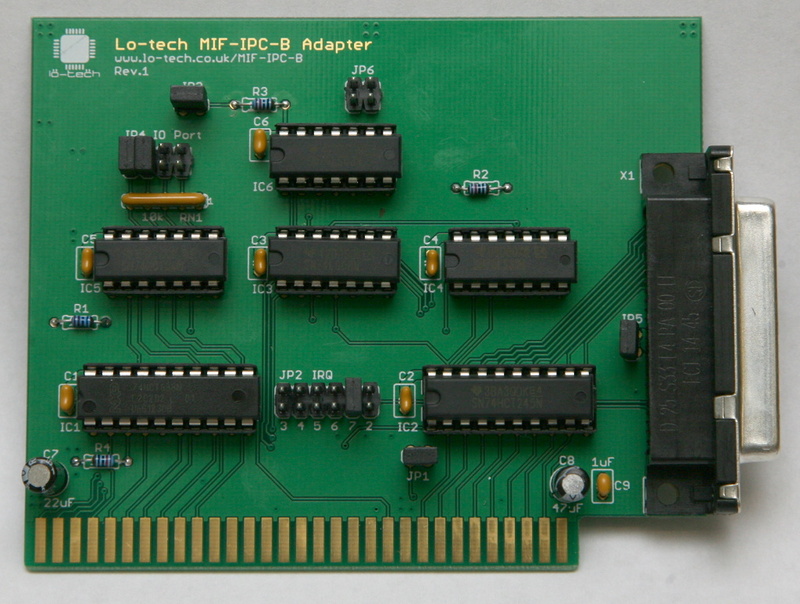 Back in Jul-15 I introduced the Lo-tech MIF-IPC-B, a clone of Roland’s MIF-IPC board that connects the legendary MPU-401 to the IBM PC. 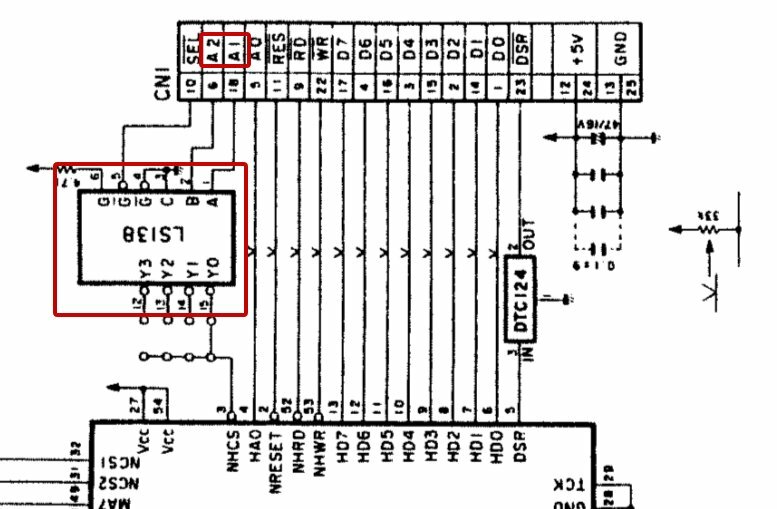 Unfortunately an error in the schematic in the address decoder meant the prototypes were effectively useless – but when does anything work first time? Full details on this board are available in the wiki now. The first assembled units are with beta testers now and all being well, PCBs will be available within the next 4-6 weeks. 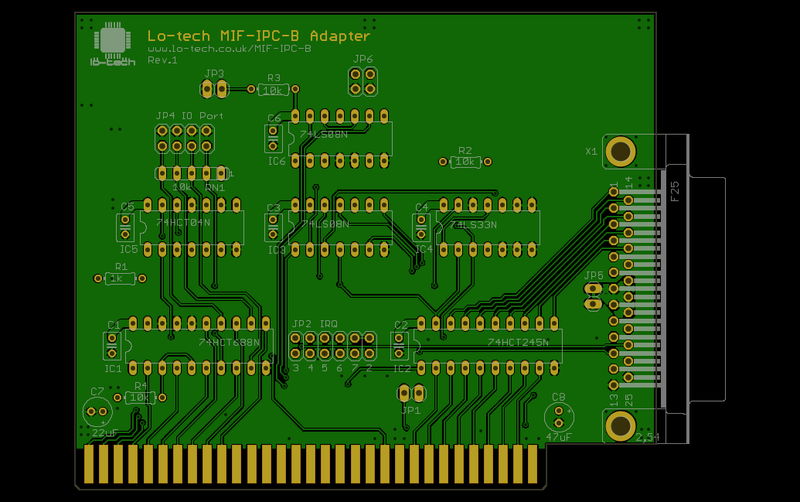 Finally a prototype of the new Lo-tech MIF-IPC-B board, a Roland MIF-IPC compatible adapter that combines the functionality of the original (multiple MPU-401 support) with the compatibility of the revised MIF-IPC-A board (for PC/AT systems). 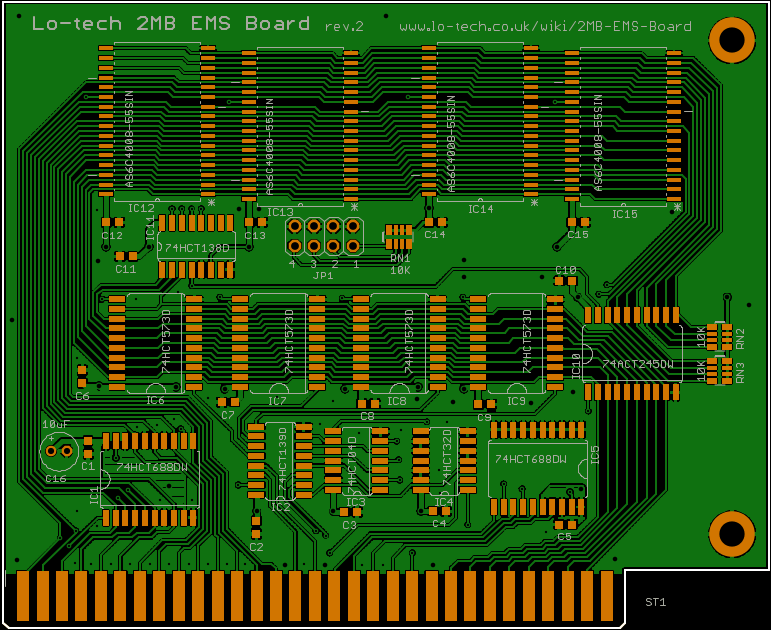 This board also has fully populated resource selector headers, for easier system integration. Unfortunately the DB-25 is 2mm to far away from the ISA bracket but apart from that it looks good. Next step is to get this to someone that will know what to do with it and what it should be doing – so it’s being sent to a top-secret lab in Maryland testing. Watch this space! I’ve been experimenting with 3D printing options for Lo-tech ISA card slot brackets for some time, the idea being for customers ultimately to print their own slot brackets at home as the technology becomes ever more accessible – the XT-CF-lite rev.2 adapter bracket is only currently available in .STL format. 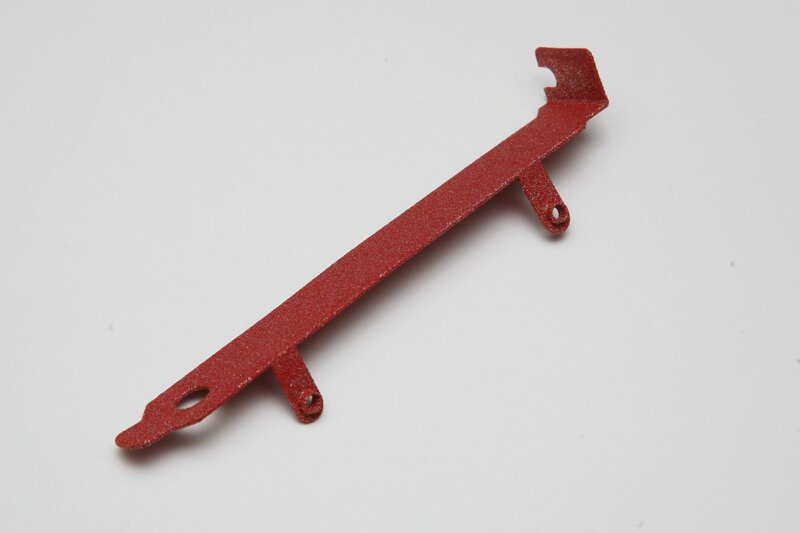 Weight is 19g, and though slightly ‘ripply’ along the flat surface, this bracket has a great, solid feel and seems sturdy enough to take the force required to insert the card. Currently this process is quite expensive, but of course that should come down given time. 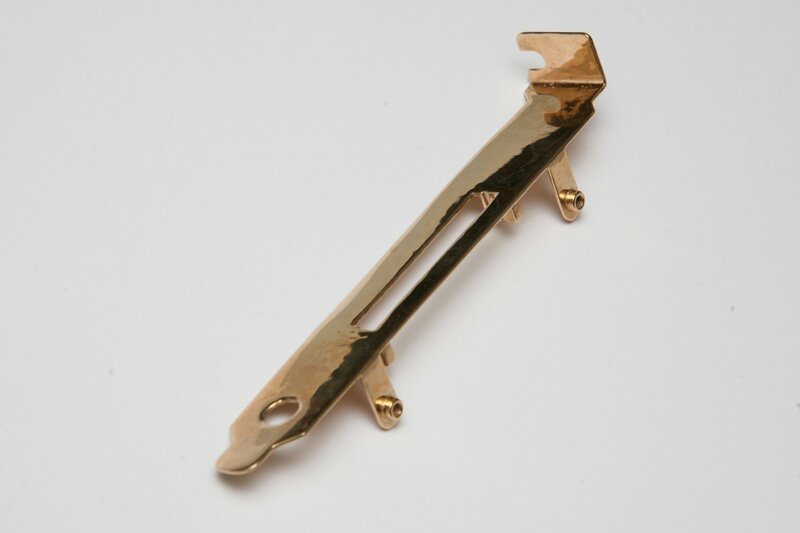 Another metal based material available is alumide, “a strong, somewhat rigid material that can take small impacts and resist some pressure while being bent. The surface has a sandy, granular look and is slightly porous”, according to the website. This feels more like the SLA printed ABS, being quite bending and, at 3g, has a light-weight almost paper-like feel. Though certainly up to holding a card in situ, this bracket (like the ABS versions) isn’t strong enough to be used to apply force to insert or remove the card, so requires some care in use. The bronze process is perfect for this application, just a little pricey at the moment. Stainless steel is another option (and actually gold and titanium too!) but is currently too expensive to seriously consider for this application. An email from a user of the Lo-tech XT-CF-lite caught my attention recently, the board being used in an IBM PC 5150 that’s being set up with the original Roland MPU-401 MIDI interface. It’s something I’d never looked at in detail, but a quick search quickly pulled up a couple of recent hardware projects to make compatible ISA interface cards for it. 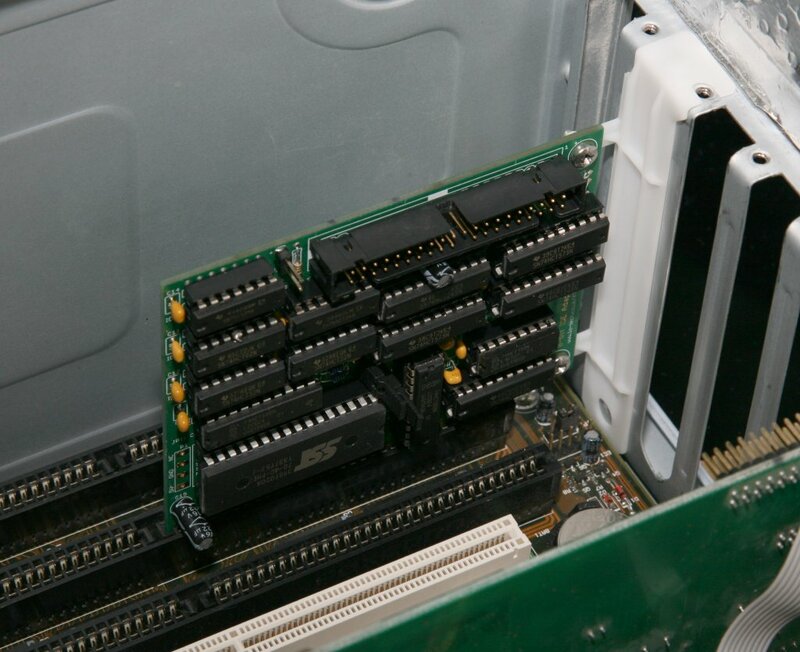 There’s an interesting article about the MPU-401 on the Nerdly Pleasures blog, but basically the system consisted of an ISA card (‘MIF-IPC’) in the PC connected to the MPU-401 via a 25-pin DSUB connector, which then provides MIDI outputs. By the time the second card was produced, the MIF-IPC-A, these lines had been simply connected to ground so effectively disabling this functionality. MIDI isn’t something I know anything about, but I’ve been told that having more than one MPU-401 attached would be “like going back to 1981 with an iPhone”! Now of course software support would be another problem, and then there’s the question of whether the 8088 in the 5150 – or the ISA bus itself – is fast enough to keep them fed with data… but it’s something I’d like to at least have the option to try. By running a short 25-pin DSUB lead to a break-out board, providing address decoding there and up to four DSUB connectors. Using multiple cards isn’t a great option for 5150 owners, since the system needs a graphics board, a memory board, and at least one storage adapter (and likely two) meaning possibly only one slot free. 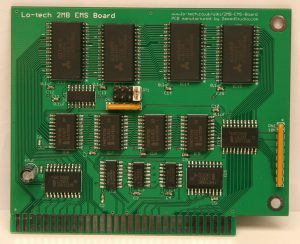 For 5160 machines, the slot-8 compatibility of this board should make this a practical option, though this will still need testing. This board is currently at the design phase – any thoughts or ideas are welcome! 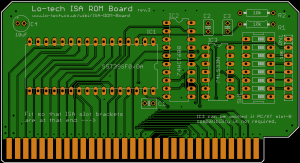 The Lo-tech ISA ROM Board is a simple and cheap to make 8-bit ISA board that provides a 32 or 64KB ROM via a flash chip, and was first released in 2012 primarily to help with XT-IDE Universal BIOS development. It now enters it’s third revision, adding PC/XT Slot-8 support. 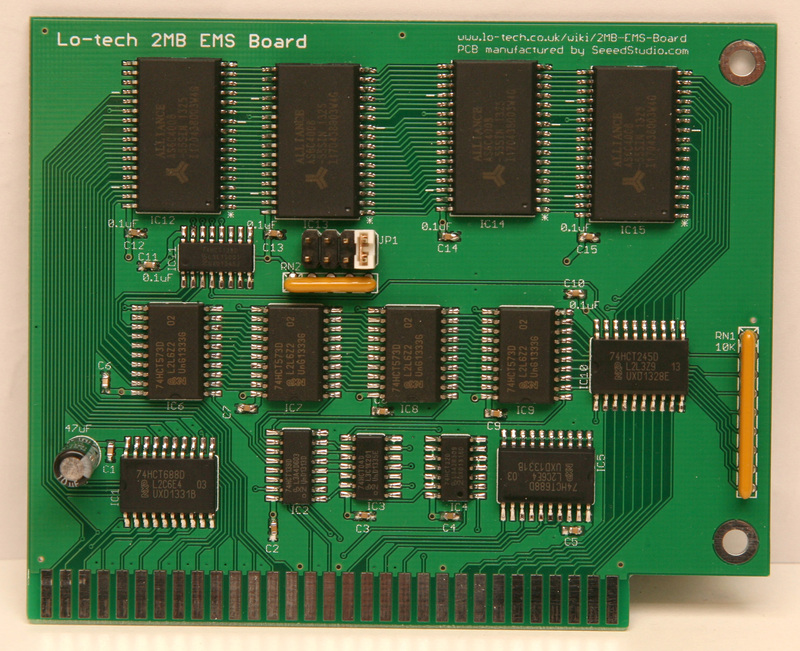 The board retains all the previous features, including selectable 32KB or 64KB operating modes, in-system programming, extensive address selection options, and entirely through-hole component choice for easy home assembly. 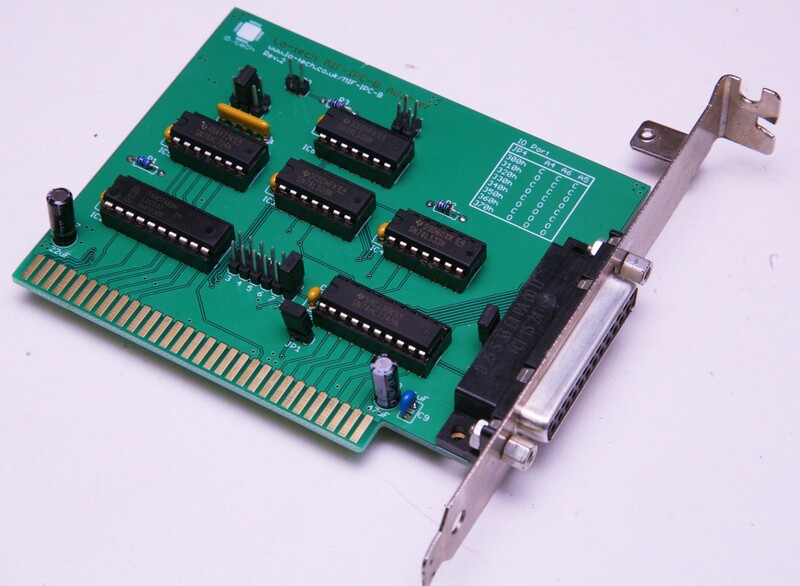 This kit is ideal for anyone tinkering with IBM PC BIOS or option ROM development, or as a handy flash ROM to add option ROMs for example to support high density floppy, IDE controllers without their own ROM, or network boot (like ATAoE). CADSoft Eagle PCB design files and associated Gerbers (which are used by PCB fabricators) are all available now (with the usual Lo-tech GPL derived license) via the site wiki. 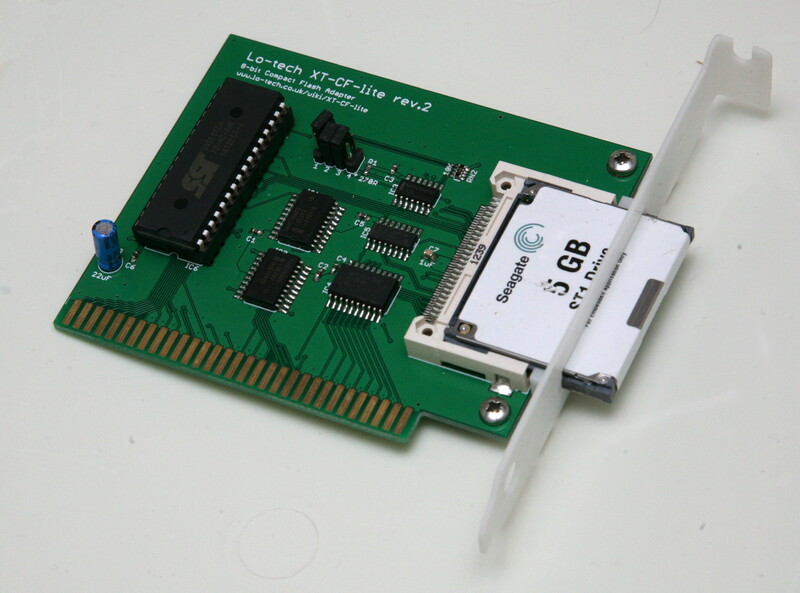 PCBs and full kits will be available via the Lo-tech shop at the start of May. 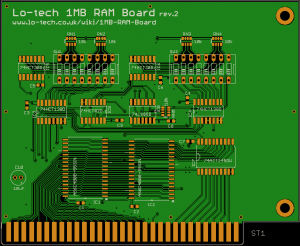 Introduced back in February, the Lo-tech 1MB RAM Board and 2MB EMS Boards have been undergoing basic testing since, and have now both been updated to rev.2 designs, with a number of fixes and changes to make them ready for release. The designs files for both boards are available now via the site wiki. Along with a few component changes and the addition of configuration information on the silkscreen, the main changes are the addition of PC/XT slot-8 compatibility to the RAM Board, and a better choice of IO port addresses on the EMS Board. 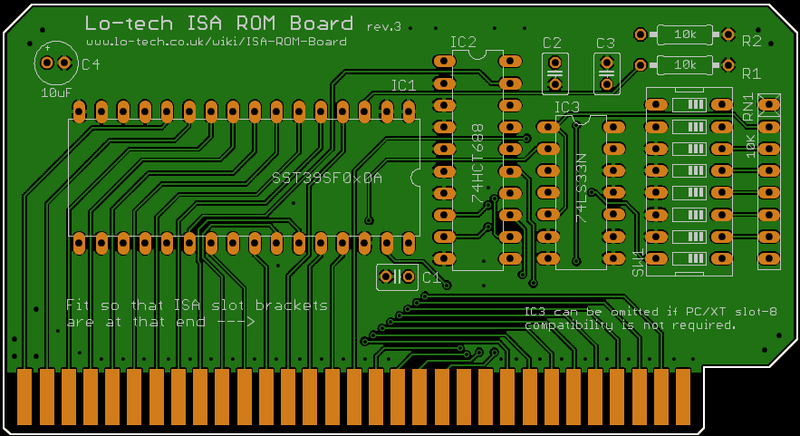 Both boards now also use the same mounting hole placement, meaning a new ISA slot bracket, which is currently in development. CADSoft Eagle PCB design files and associated Gerbers (which are used by PCB fabricators) are all available now (with the usual Lo-tech GPL derived license) via the site wiki. The EMS driver source will be added soon. RAM chips in early 1980’s PCs are a fairly regular cause of problems, and then there’s the issue of only have some meager amount of RAM installed on the system board, as little as 16KB on the first IBM 5150. 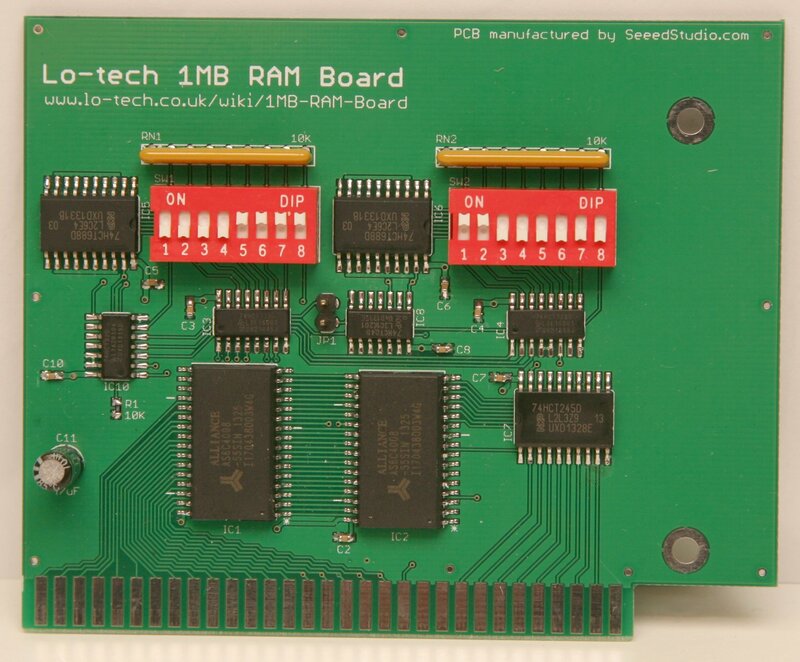 Mostly RAM is expanded up to the maximum (usually 640KB) via a multi-function ISA expansion card, but these boards don’t provide upper memory blocks (above 640KB) nor generally EMS, a memory expansion technology for 8088/8086 PCs providing up to 32MB defined by Lotus, Intel and Microsoft. For that, something like an Intel AboveBoard is required, which is a full-length and now rare card. The lo-tech 1MB RAM board, providing from 48KB to 1MB of system RAM, with each 64KB page individually switchable to provide a universal expansion board for any 8-bit PC, regardless of how much RAM is installed on the system board. The first 16KB can also be switched off, enabling its use with a stock 16KB 5150. The lo-tech 2MB EMS board, providing from 512KB to 2MB of LIM 3.2 expanded (EMS) memory (available capacity is dependent on how many SRAM chips are populated). Applications like Lotus 1-2-3 and Windows 2.x and 3.0 will use EMS when available. Both boards are built on 1.27mm pitch SMT components in order to fit everything on the available 80x100mm Eagle Lite routing area. Assembly of these components is perfectly acheivable at home – see the lo-tech SMT soldering guide. But, more test hours are needed and the driver for the EMS board is yet to be written – that’s work-in-progress! 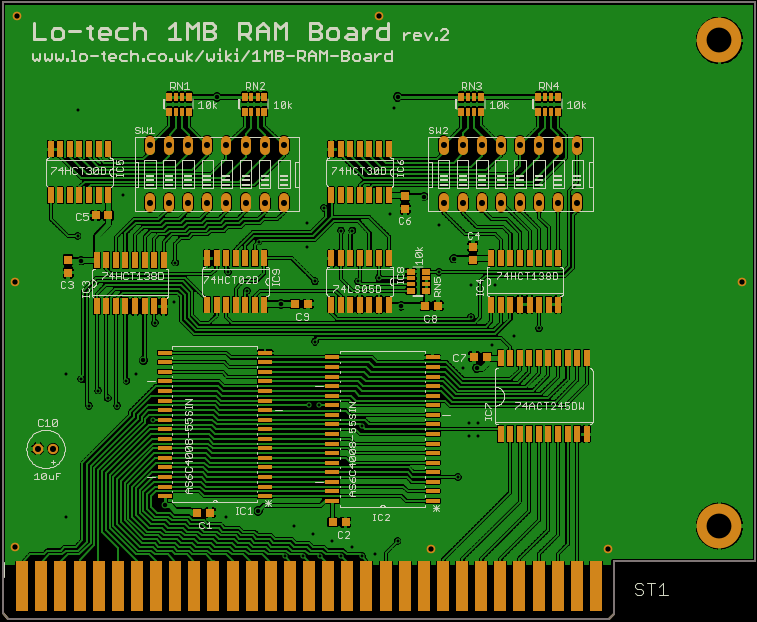 A few weeks back I wrote about the lo-tech ISA CompactFlash Adapter designed to fit the Sinclair PC200, at the request of a system owner, and based on a few ideas I already had on the drawing board at the time. Being simple to make and cheap, the adapter has found a home in many machines besides the Sinclair already – only a couple of PCBs are left and the feedback from assemblers has been good. 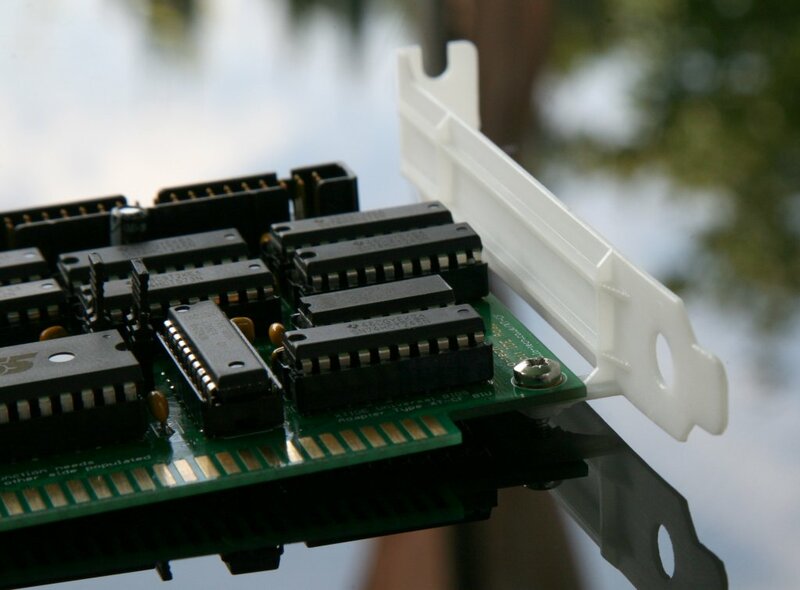 The main challenge with the Sinclair is the available expansion slot height, which is what the small form-factor adapter was designed to solve. Here it is fitted to the Sinclair, with the top cover fitted. Since the Sinclair doesn’t have any spare power connectors, make use of the 4-hole power outlet on the PCB to attach a floppy-drive style power lead to power an IDE to CompactFlash adapter (alternatively the keypin on the adapter will supply 5V, if the CompactFlash adapter in use supports this). Testing, after a couple of false starts, has been successful so far. Be sure to set ‘IDE Controllers’ to 1 (and the adapter type to XT-CF of course) when configuring the XTIDE Universal BIOS. 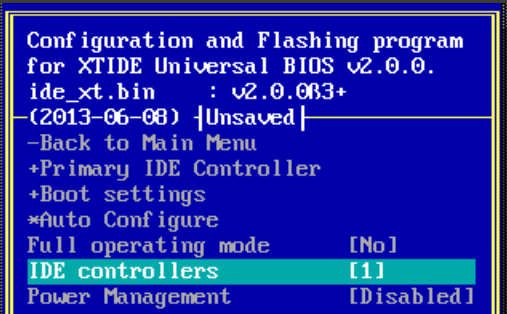 The BIOS can be written out using the lo-tech XT-CF flash utility.